As the years pass on, the skin around the eyes loses its natural elasticity and tone. This leads to wrinkles in the skin, and baggy eyelids, affecting both the upper and lower eyelids. It is possible to remove excess skin and subcutaneous tissue with high precision, recreating the original form of the eyelid. We perform several hundred eyelid operations each year at Stockholms Ögonklinik. There are many reasons for these operations. Some choose this procedure since they find heavy, hanging eyelids unpleasant, while others want to open up and improve the field of vision. Most people, however, simply want to improve their appearance, and give a more alert impression. Each patient has his or her own special desires and each patient is unique, and we take this into consideration when planning each procedure. 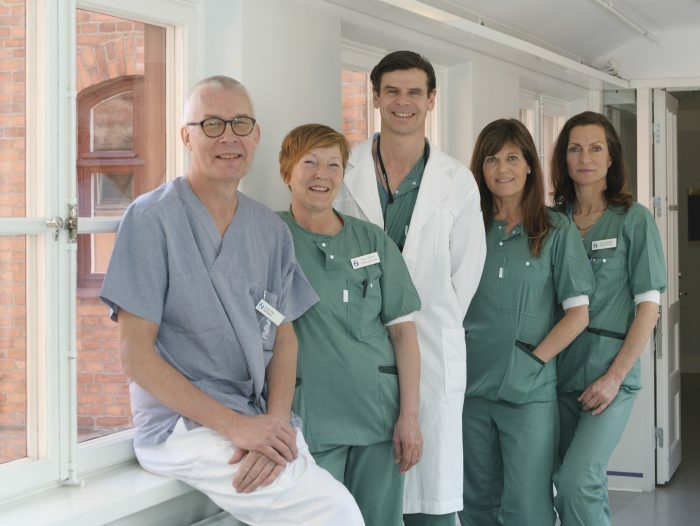 Both women and men attend Stockholms Ögonklinik for eyelid surgery. It is natural for them to come to an experienced eye specialist, and it gives extra security to know that they are in the hands of experts in the whole field around and inside the eye. Stockholms Ögonklinik also removes small moles, styes, and warts from on and around the eyelids. These procedures are carried out on a private patient basis as they are not covered by the county council. The price for consultation for a patient who attends as a private patient is SEK 1,600. Eyelid surgery of both upper eyelids costs SEK 14,000. Telephone: +46 8 5089 4911 (the telephone lines are open weekdays 8:30-12:00 am and 1:00-3:30 pm). You have previously had a consultation with the plastic surgeon who will carry out your eyelid surgery. The doctor will describe how the procedure will be conducted. If you are taking any anticoagulant medication, mention this to the doctor. Superficial blood vessels will be cauterised at surgery using diathermy (heated forceps). We will take a picture of your eyelids in order to document your condition before the surgery. Please wash your hair before arriving and do not use makeup the day of the procedure. Your eyelids will feel unresponsive after the procedure. Pain is not normal, but a certain tingling that is experienced as unpleasant is normal for an hour or more after the anesthesia has worn off. It is normal to feel rather tired. It is normal with a progressing edema of the eyelids, it will subside. It is common to develop bruising and or edema around or under the eyelid, or neighboring skin. You should refrain from hard exercise as long as the stitches remain in place. Do not go swimming or take a sauna. Avoid rubbing your eyes. The stitches are normally removed 6-7 days after surgery. Surgery for the upper eyelids is carried out under local anaesthesia, and takes approximately one hour. An incision is made in the natural fold of the eyelid, where the scar will be invisible. Excess skin and any excess fat is removed, and the edges then sewn. You must lay with cold compresses on your eyes for approximately 10 minutes once the procedure is complete. You can then return to the waiting room for a nice cup of tea or coffee with a bite to eat. It can feel comfortable and cooling to dab your eyelids a couple of times a day the days following the procedure. It is possible to return for further adjustment, after 6 months have passed.